FIlmhub signed up OBBOD, the streaming channel based in Prague, Czech Republic. The streaming platform selects from all genres and formats, "produced by major studios and smaller and independent producers, TV shows, fairy tales and children’s stories, art and festival films, and also a number of interesting documentaries" (OBBOD). OBBOD streams to audiences in the Czech Republic and the Slovak Republic. Filmhub users get the benefit of localization of their content for Czech and Slovakian audiences - i.e. translation of subtitles and metdata like description - by Obbod through this distribution agreement. Content already localized has a higher chance of licensing, though. Audience subscribe monthly by use of the GoPay payment gateway. One-time purchases for selected titles are made via the GoPay payment gateway or SMS payment. 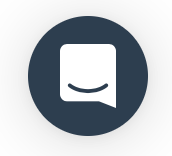 We now have a brand new support widget and a redesigned Help Center. It will allow you to find the answers you need more easily and allow managing your requests more efficiently. In the widget, you can search for articles in our Help Center, or click "Start a conversation" to contact us. These are just a few of the many new features and integrations we are working on. Try it out and let us know you think. Filmhub welcomes Dokku as our 74th Channel. Dokku is based in Canada with a mission to support documentary filmmakers with funding and distribution. More information about Dokku is available in the Filmhub app Dokku channel description. See also our in-app up-to-date list of channels. Check back often as we sign up channels constantly. Content owners now see a brand new dashboard on login. You'll see your Catalog listed on the left, and the new Channel activity card on the right. The Catalog card shows the title format (Single work, Series, Episode) now as a space saving icon. The QC status now also shows the locked icon for titles submitted for distribution. Channel activity lists all the action of your titles with the channels on our platform - orders, go-live, special promotions etc. and the effected channels are shown here on a timeline. The filter by title name moved up to the navbar. It now affects both Catalog and Channel activity at the same time. For example, filter by a title shows only this title and its activity. You can still download your catalog as csv - the button moved to the lower right of the Catalog card. Reminder this no longer needs checking your email for a download link: csv exports now start streaming immediately. Filmhub welcomes Pnnny (pronounced: Penny) as our 73rd Channel. Pnnny has created a first of its kind video platform with a unique Pay-As-You-Go Video On-Demand (PVOD) model. A hybrid TVOD/SVOD approach. More information about Pnnny and all Filmhub channels is available in the app under Channels. CSV exports now stream in the background. You can continue to work in the web app while the download is finishing. CSV exports no longer require checking your email for a download link. Instead, the download starts in-browser and continues streaming until complete. CSV exports can be fairly substantial and the download can take some time. Wait for the download to complete before opening the csv file, just like any other download of large files on the internet. Our most requested feature to date is now available for you. Performance Insights allow you to visualize your performance data and see how your titles are performing in real-time. View Revenue Performance over time. All visualizations are dynamically updated by filters: date, country, and/or title. Available now from your dashboard. We added the list of current feature ideas, along with their current status, assessment, and position in the roadmap. This list is read-only. Before submitting a new idea, you can see if it already exists. NOTE: This feature is currently available for team members only. Please let us know if you want to be on the waiting list for wider rollout). Detaron targets a younger audience with feature length, shorts, music videos, and episodic content. More information about Detaron TV, and all Filmhub channels, is available in the app under Channels. We're now at 72 channels - and counting! Surely Filmhub will start publishing changelogs very soon.